This video workshop soothes your artistic soul through a "zen-full" painting experience. Jodi Ohl encourages you to go beyond the doodle and work on unique artist grade hard surfaces while exploring how to take your pencil, pens, inks and paints to a new abstract level. Create a colorful abstract work and make the most of a limited color palette when you order your copy today! Creating textured and layered abstract art has never been so easy or fun. In this video worskshop Jodi Ohl will guide you through the creation of 3 abstract paintings from start to finish. Explore three different texture mediums to serve as the foundation for your art. Next, explore color, balance, line work and pattern in Jodi's exciting and experimental style. Order your copy today! In this video, Jodi Ohl will guide you through a variety of art journaling techniques that you can then mix and match in future journal pages. Begin by making your background with several spreads in different ways including stenciling, collage and swatches of color. Next, develop these spreads with unique, stylized faces, handmade marks and personalized lettering. Order your copy today! 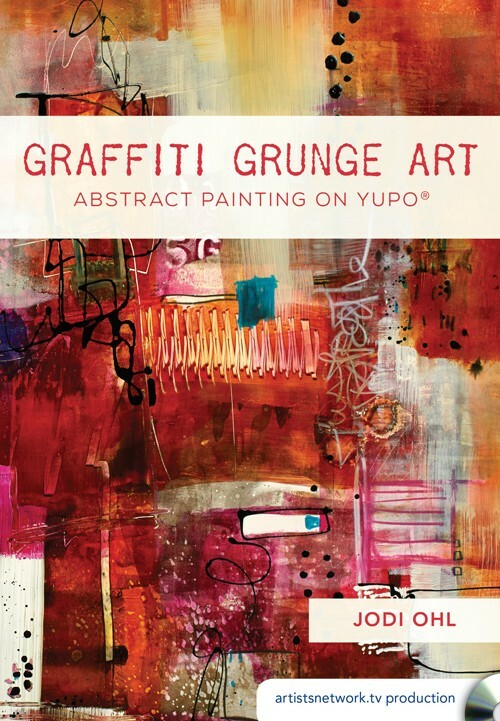 4 Artists + 4 Art Journaling Styles + Live Instruction = Unlimited Inspiration! Get wild and whimsical with Jodi Ohl's "Character Studies!" After learning acrylic painting techniques like glazing and veiling, you'll try your hand at creating cute characters of your choosing. If you enjoy working with collages, this step-by-step instruction video will teach you new ideas of incorporating fun colors and mixes to add depth and prints to your collages. You will use Gelli plates as your creative base, metallic colors to water-soluble crayons, as well as different mediums and prints to discover what techniques you like the most! Mixed media artist, Jodi Ohl, teaches you to think thoughtfully about compositions. This will not only save time when creating a piece, but will also give you new techniques and tools to make a beautiful canvas. From reusing mark-making tools to using glaze and stencils, learn how to make an expressive canvas and art journal spread! Have you ever used baby wipes and alcohol drops on your paintings? This video will teach you fun and new ideas that will expand your artistic knowledge so you can incorporate different materials in your artwork. 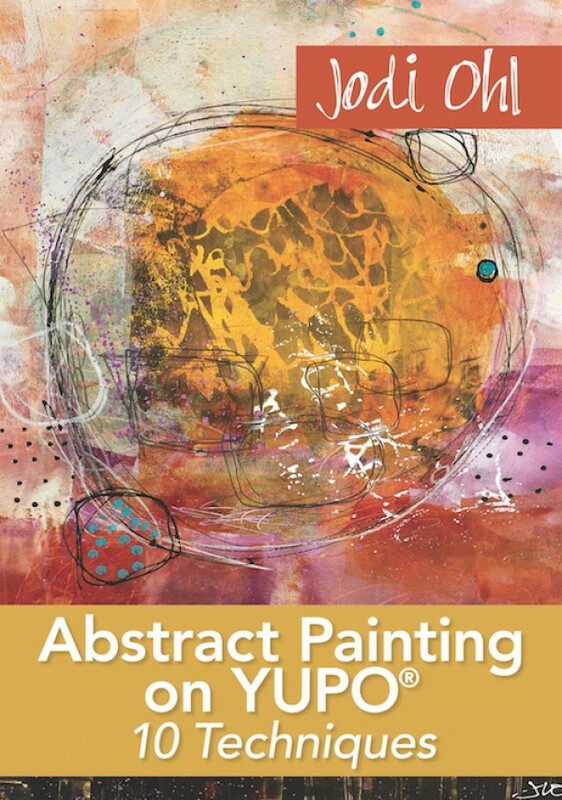 By working on YUPO® paper, you will learn how to create a holistic composition that features geometric shapes, bright acrylic paint, and experimental media. Discover what it means to be an abstract painter! You may enjoy watercolor painting, but bring it to a more skillful level by using in-depth techniques, such as applying tissues, sponges, and different media to your artwork. Learn India ink details and how to best use mark-making tools. You will create floral compositions while experimenting with the dozens of ideas Ohl provides you with. Explore and have fun with your watercolor paints on YUPO® paper! Enjoy the Art Journaling Live 3 experience with the ultimate collection of art journaling workshops in easy download format! In Nathalie Kalbach's workshop "Creating Texture and Layers" you'll loosen up by adding layer after colorful layer of handmade marks, stenciling, collage and more. Then, get wild and whimsical with Jodi Ohl's "Character Studies!" After learning acrylic painting techniques like glazing and veiling, you'll try your hand at creating cute characters of your choosing. Add watercolor painting with personal flair to your art journaling repertoire with techniques from Gina Rossi Armfield's "Watercolor Basics" class. Finally, discover the power and magic of what can happen with a handful of stencils and a limited color palette in Mary Beth Shaw's "Your Brain on Stencils" workshop. Experience the joy and creativity of Art Journaling Live 3 with this exclusive kit! 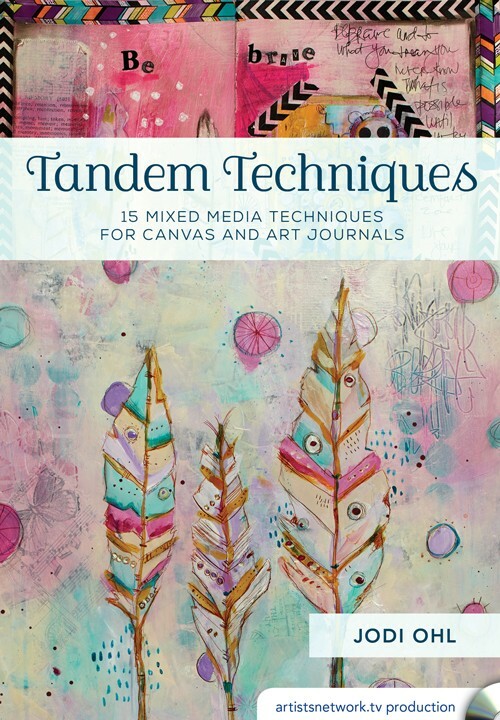 Featuring a two-disc DVD set of the full day of art journaling instruction and key art supplies used in the lessons, you'll feel like you're in the room with your favorite artists and other like-minded art journalers. The Art Journaling Live 3 DVD set includes more than 5 hours of art journaling lessons and inspiration from 4 of the top art journaling instructors: Gina Rossi Armfield, Nathalie Kalbach, Jodi Ohl and Mary Beth Shaw. Order your kit today while supplies last! In Lettering Lesson, “Creative Cursive Hand Lettering,” self-taught mixed-media artist Jodi Ohl demonstrates a variety of ways to use your handwriting to create colorful letters and quotes. She encourages readers to experiment, and also shows unique lettering incorporated in the pages of her journal. Let Jodi show you how to add character to your lettering with her techniques for adding shadows and color, frames, doodles, and more when your download your December Lettering Lesson today! Create more playful letters with Jodi Ohl and her colorful Block Lettering lesson. Learn to use different pens and nibs to create a variety of designs. Experiment, practice, and refine your lettering style with some new ideas and techniques for shaping and dressing up your letters. Color letters, inside and out; add lines, dots, and more; and then create within circles to add to the fun. Let Jodi help you find your unique lettering style. Download your Lettering Lesson instantly! With this month's Lettering Lesson, take your lettering in a new direction with your own handmade stamps. Jodi Ohl will show you how to carve initials, words, and inspiring phrases, as well as how to create fun stamps with craft foam. Add dimension and interest to journal pages, paintings, collage, and more! Instantly download your lesson today to create your own one-of-a-kind stamps!